The Trump administration left major liberal Jewish organizations off its invitation list for a mysterious White House meeting scheduled for Tuesday afternoon, but invited three officials from the hawkish Zionist Organization of America, the Forward has learned. The meeting, the existence of which which the JTA first reported on Friday, comes amid speculation that the White House is preparing to release details of its long-awaited Middle East peace plan. While some invitees speculate that White House officials called the meeting to discuss the plan, the administration has not said why they called the meeting, or which officials will attend. The White House invited the ZOA’s Mort Klein and two members of the organization’s Washington, D.C. staff to the 5 p.m. meeting, Klein told the Forward. They also invited some Orthodox leaders, including Nathan Diament, executive director of the Orthodox Union Advocacy Center, and Rabbi David Zwiebel, executive director of Agudath Israel of America. Jewish Council for Public Affairs executive director David Bernstein said he had been invited, but could not attend. Missing from the list was the Anti-Defamation League, a major center left group that has been critical of the Trump administration, and the Reform movement, the largest Jewish religious denomination in the U.S. A spokesmen for Reconstructionist Judaism, a smaller liberal group, also said that they were not invited. A spokesperson for the Rabbinical Assembly, which represents Conservative rabbis, did not respond to a request for comment. The lockout of liberals seems to extend longstanding boycotts and counter-boycotts between the White House and the liberal Jewish groups. In 2017, Reform and Conservative rabbis said they would refuse to participate in the longstanding tradition of a conference call between Jewish leaders and the president on the eve of the Jewish High Holidays. In return, the administration left them off the invitation list, but did include the ADL. Now, the ADL, too, is of the list. The administration did not respond to a question about why some groups were invited, while others weren’t. If the meeting is simply a pre-Passover community briefing, the implications of liberal Jewish groups not being in the room are minimal. If the administration chooses to use the event to discuss the Middle East peace plan, the ramifications could be more significant. Update, 8 P.M.: This story was updated to include a statement from a White House official, submitted after the story was originally published. 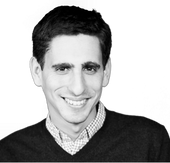 This story "Trump Welcomes ZOA, Snubs Liberal Jews" was written by Josh Nathan-Kazis.